Professionalism, personal attention, planning... and an amazing collection of music. These are the essential ingredients in creating an event full of "memories that will last a lifetime" and it's the reason why Marcus Rollins has for 15 years been one of the most well-respected DJs, Producers, and Master of Ceremonies in the Dallas Ft. Worth area. By taking the time to understand his clients' personal tastes and musical preferences, Marcus can custom tailor his services to each individual event. 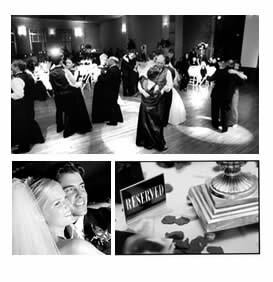 Whether you're planning a wedding reception or a corporate event, whether your party is at a private residence or at DFW's finest establishments, Marcus can provide the perfect entertainment and help coordinate an event that will leave you with "memories to last a lifetime."